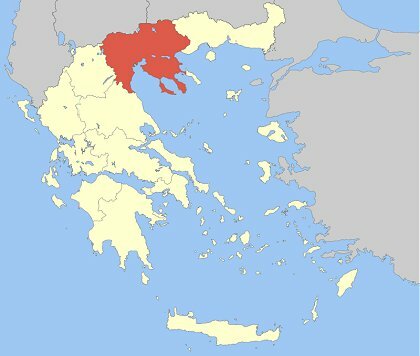 Halkidiki, also spelt Chalkidike, Chalcidice, Khalkidhiki, is a regional unit of Greece, part of the Central Macedonia Region in Northern Greece (red area in the image). It consists of a large peninsula in the northwestern Aegean Sea, resembling a hand with three "fingers". The capital of Chalkidiki is the main town of Polygyros, located in the centre of the peninsula. Chalkidiki is a popular summer tourist destination. There are several summer resorts on the beaches of all three fingers, where minor towns and villages are located. The autonomous Mount Athos region, outside of the regional unit, is the easternmost part of the peninsula (the white third finger). 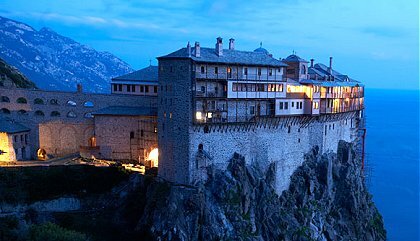 The Agion Oros, as it is locally called, dates back to Byzantine times, more than a thousand years, and is the oldest surviving monastic community in the world. It is a monastic republic, which, although part of Greece, is governed by its own local administration. 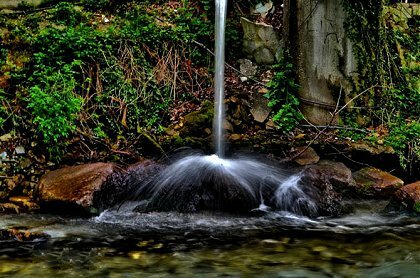 The Cholomontas mountains lie in the north-central part of Chalkidiki. Cholomontas is close to Eagles Palace, about 64km away, an hours drive. Discover the beautiful forest and mountain of Cholomontas, while driving through its scenic winding routes. Stop for a horseback ride around the forest and discover the beautiful local village of Arnea before making your return to Eagles Palace.